Approved Documents – tell us what you think? The Ministry of Housing, Communities and Local Government (MHLCG) has asked NBS to carry out important research on the Approved Documents. The NBS really want to understand how you use the guidance we prepare and provide to understand the functional requirements of the building regulations. NBS are undertaking this work rapidly in response to a recommendation Dame Judith Hackitt has made in her Interim Report of her Review of the Building Regulations and Fire Safety. She has recommended that the government consider how the suite of Approved Documents could be structured and ordered to provide a more streamlined, holistic view while retaining the right level of relevant technical detail. dhf (Door & Hardware Federation) has welcomed recommendations made in the Independent Review of Building Regulations and Fire Safety’s Interim Report, published on 18 December, in particular, that those working on the design, construction, inspection and maintenance of complex and high-risk buildings are suitably qualified. And the organisation has asserted that the UK should follow Europe’s lead in providing more thorough fire door maintenance procedures, which can ultimately, save lives. France’s Article R. 122-16 of the Construction and Housing Code states it is the building owner’s responsibility to perform the necessary maintenance checks to ensure that fire doors fitted throughout a site are operating correctly. These inspections are carried out by trained professionals, as part of an accredited and recognised maintenance contract. Furthermore, all relevant staff are aware of what these maintenance checks include and how often they need to be carried out, with any maintenance inspections undertaken properly documented. 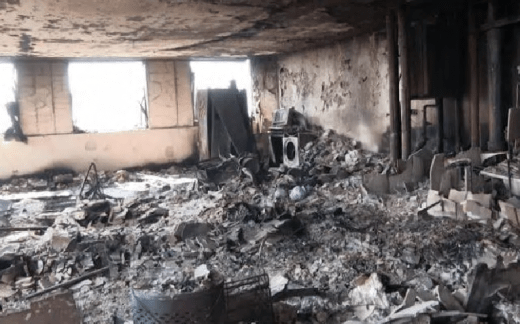 Should a building owner be unable to provide these reports, the potential consequences include insurers being able to withdraw their cover, due to a lack of evidence that the necessary maintenance checks have taken place. Combustible cladding has been found in 57 private high-rise properties in Glasgow, reports the BBC. Checks have been under way at buildings across Scotland in the wake of the fatal Grenfell Tower fire in London. Council planning official Raymond Barlow told MSPs that cladding had been found on some buildings in Glasgow, but said “it’s not public information yet”. They all date from before 2005 when new regs came in. Scottish ministers were informed about the concerns on 8 September, but neither the Scottish Fire and Rescue Service nor flat owners have been informed. The council later stressed that there was “no suggestion that these buildings are a particular fire risk”. 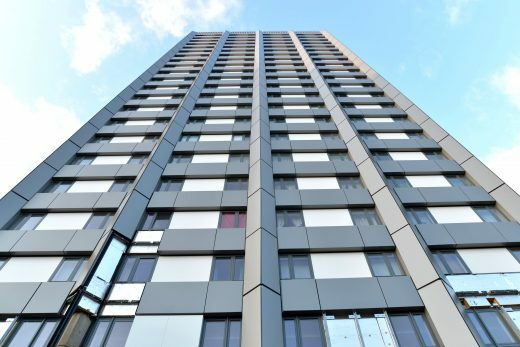 Holyrood’s local government and communities committee heard that Glasgow City Council had discovered combustible cladding while looking back over the plans for some private residential properties in the city. The assistant head of planning and building standards at Glasgow City Council, said information had come to light “in the last couple of weeks” about “private flatted developments”. He said all the developments had won planning consent prior to 2005, when new housing regulations came into force. 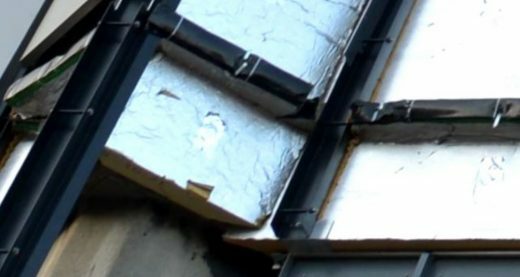 16th of August 2017 – In the latest test results issued by DCLG, PIR (polyisocyanurate) insulation in conjunction with a wall cladding system, consisting of Aluminium Composite Material (ACM) with a limited combustibility filler (category 1 in screening tests) has comfortably passed the full-scale BS 8414 fire test and is cleared to be used in buildings above 18 metres. 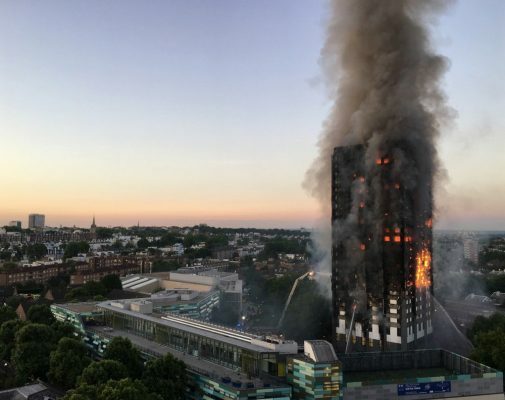 This test was one of the seven BS 8414 tests requested by the government in the aftermath of the Grenfell fire tragedy and commissioned through BRE, using a combination of materials including the make-up of the outer cladding system. This test confirmed what experts across the industry expected and now provides a PIR solution to the many buildings that have been identified with a mixture of cladding and insulation that do not meet current regulations. 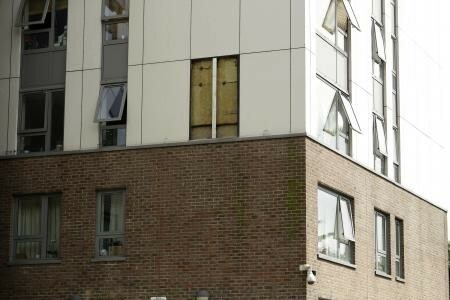 These buildings will need remedial work to bring their cladding systems up to an acceptable and safe standard, to reassure tenants and owners. This latest successful test gives the opportunity to ensure building improvements can meet a range of criteria, including fire safety as well as excellent thermal performance. Speaking after this latest test result was announced, Simon Storer, Chief Executive of BRUFMA said: “With the tests now drawing to a conclusion, we have confirmation of a mix of materials that provides a fire safe cladding and insulation system using high quality PIR insulation. “The next stage is to assess what each building, which the government has identified as in need of recladding, requires, in terms of refurbishment. Therefore, it is important that we work with government to ensure a holistic approach to any fire risk assessment is undertaken in order that building owners and managers can prioritise any work that needs to be carried out. “Individual components and build-up of rainscreen systems will affect the individual performance on any system, but with this result, we now know that it will not be necessary for any PIR insulation to be removed from buildings, therefore making the government’s task of ensuring buildings meet safety and fire standards, easier. BRUFMA (the British Rigid Urethane Foam Manufacturers Association) is the Trade Association that represents both the Polyisocyanurate (PIR) and Polyurethane (PUR) insulation industry in the UK. Its members manufacture rigid insulation that provides 50 per cent of the total insulation market in the UK. BRUFMA’s membership comprises all of the major companies in the industry, including manufacturers of finished PIR and PUR insulation products, as well as suppliers of raw materials and associated services. BRUFMA represents the industry’s views across all government and industry stakeholders and decision makers and promotes a positive and dynamic business environment for the PIR and PUR insulation industry in the UK. Cladding used on over 80 towers fails safety test as government announces building regs review, reports Building Design. The RIBA has made a written submission to the Grenfell Tower Inquiry, which has launched a consultation into its terms of reference. This article by the BBC focuses on reports – known as “desktop studies” – that are a legal alternative to laboratory testing. There are several regulatory routes to demonstrating to an inspector that cladding is safe on a tall building. First, all the parts of the cladding can be tested separately and found to be of “limited combustibility”, broadly meaning that the parts will not catch alight or spread fire. If, however, some parts do not meet that standard, developers can arrange for a laboratory to construct a model of the entire proposed wall system and assess what would happen in a fire. But if a developer wishes to follow plans similar to a setup which has already been fire-tested, they can ask an engineer to perform a desktop study, certifying that the proposed construction would pass the test without the need for one to be carried out. 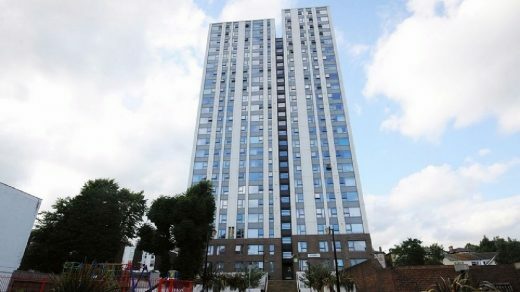 Rydon warned in a letter sent on 23rd of June that it could take action over comments by the Camden Council leader that cladding on other buildings was not up to the standard commissioned, reports The Guardian. So just nine days after the Grenfell Tower fire, with a final death toll yet to be confirmed, the contractor who refurbished the tower are trying to defend their reputation elsewhere in London. 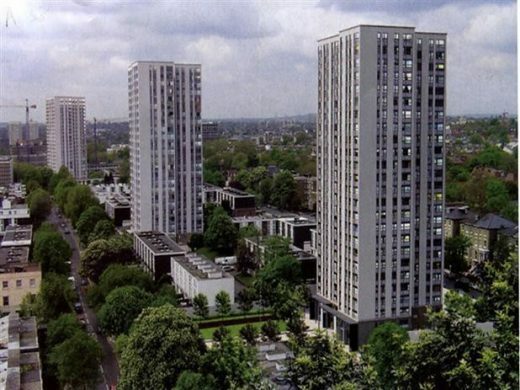 The London Borough of Camden evacuated hundreds of families from four towers on the Chalcots estate last weekend after it emerged that they were clad in flammable aluminium polyethylene-filled sheeting under a £150m PFI contract with Rydon. Fire brigade inspectors also raised concerns about a lack of fire doors and insulation around gas pipes. The council leader, Georgia Gould, complained publicly that the cladding fitted under the contract with Rydon was not to the standard commissioned by the council and said: “We thought we were dealing with reputable companies and we feel let down.” She warned Rydon the council was taking urgent legal advice and said the cladding “did not satisfy our independent laboratory testing or the high standards we set for contractors”. Rydon, however, strongly denies that the cladding was not up to the agreed standard and said it had been certified as compliant with building regulations by Camden’s building control department. Its chief executive, Robert Bond, is understood to have told Georgia Gould in a letter that her “inflammatory statements are highly damaging to our reputation and our business and will be defended by us in the strongest terms possible”. It was sent on Friday 23 June, hours before Camden ordered the night time evacuation of hundreds of families from the towers. 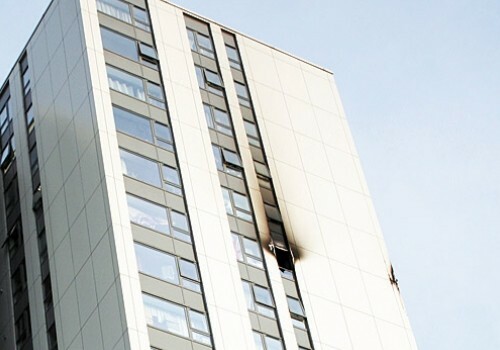 The Chalcots cladding system apparently used fire-resistant mineral wool insulation whereas Grenfell used more flammable Celotex material to improve the thermal performance. On Thursday, Downing Street said 137 cladding samples from high rises in 41 local authority areas have now failed fire safety tests by the BRE. EVERY panel tested had failed combustibility tests. 120 tower blocks had failed fire safety tests. Scotland is not included in this testing regime so the total for the UK is likely to be significantly higher given the amount of tower blocks in the Glasgow area. Lord Porter of Spalding, CBE, chairman of the Local Government Association, said fire safety tests on cladding from high-rise buildings were flawed. He criticised the tests for focusing on the core of the panel – rather than the panel as a whole. The UK Government faces £600m cladding safety bill after Grenfell Tower. News of too much emphasis on cost savings – for example from zinc cladding to aluminium cassett cladding on Grenfell Tower – instead of a focus on safety, illustrate the sad state not only of UK construction but the whole economic climate in Great Britain. This obsession with cost-cutting ultimately has sadly costed some people their lives. The number of high-rise tower blocks with external cladding in Britain that have failed fire safety tests following the deadly Grenfell Tower blaze has risen to 75, communities minister Sajid Javid said on Monday. The 75 affected buildings are spread across 26 local authority areas. Again ALL samples failed the test. Thus it appears Grenfell Tower’s incorrect cladding is not an anomaly but the tip of an iceberg. The disaster has uncovered endemic failings in the process of building and signing off UK towers, and possibly all buildings. Would this have happened in previous decades when architects were ‘in charge’ working hand-in-hand with Clerks of Works who knew exactly what was happening on site? Probably not. The government has relaxed building regulations and alllowed a situation where contractors effectively police themselves. Clearly self-regulaiton has failed. Sajid Javid, called on landlords of more than 500 other suspect blocks to urgently provide samples for testing. Investigations are being extended into the cladding on schools and hospitals nationwide and 15 government buildings have also been identified as being in need of inspection, report The Guardian. The Department for Communities and Local Government has put in place a “combustibility testing programme” for aluminium composite material (ACM panels). e-architect have viewed the letter from DCLG and note the focus on ACM panel testing is logical but does not test for the actual construction eg is there flammable insulation, or a cavity behind the ACM panels that could form a chimney? – Delays to the review of Approved Document B, particularly with regard to the relationship of the Building Regulations to changing approaches in the design and construction of the external envelopes of buildings. – The impact of the Regulatory Reform (Fire Safety) Order 2005, in particular the introduction of a regime of fire risk self-assessment and the repeal of fire certificate legislation with oversight by the local fire authority. – Developments in building procurement approaches which mean that the Lead Designer (architect or engineer) is no longer responsible for oversight of the design and the specification of materials and products from inception to completion of the project, with design responsibility often transferred to the contractor and sub-contractors, and no single point of responsibility. – The virtual disappearance of the role of the clerk of works or site architect and the loss of independent oversight of construction and workmanship on behalf of the client. Below we have links to an article on cladding at the Chalcots Estate and two articles about Grenfell Tower. We also list numerous related external links.